Compatible Kyocera Mita Toner Cartridge, Black, 34,000 page yield. Replaces Kyocera Mita part number: 370AB011. Laser Toner Cartridge compatible with Kyocera Mita KM-2530, KM-3035, KM-3530, KM-4030, KM-4035, KM-5035. I haven't actually put this in my copier yet, because I buy ahead to have one on hand. It is an excellent value, however, and arrived quite quickly. Very easy order process. Thanks. I appreciate the quality of the cartridge, and how fast the item was sent to us. Wow! What a great find. Half of the price and all the quality. Thanks Ink Technologies! 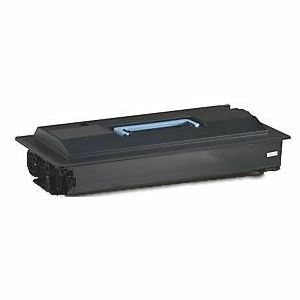 Toner cartridge is of equal quality to the "big box" stores and at least 1/3 less in price. Genuine OEM Kyocera Mita Toner Cartridge, Black, 34,000 page yield. Kyocera Mita part number: 370AB011. Laser Toner Cartridge compatible with Kyocera Mita KM-2530, KM-3035, KM-3530, KM-4030, KM-4035, KM-5035.